Din Tai Fung Dubai. 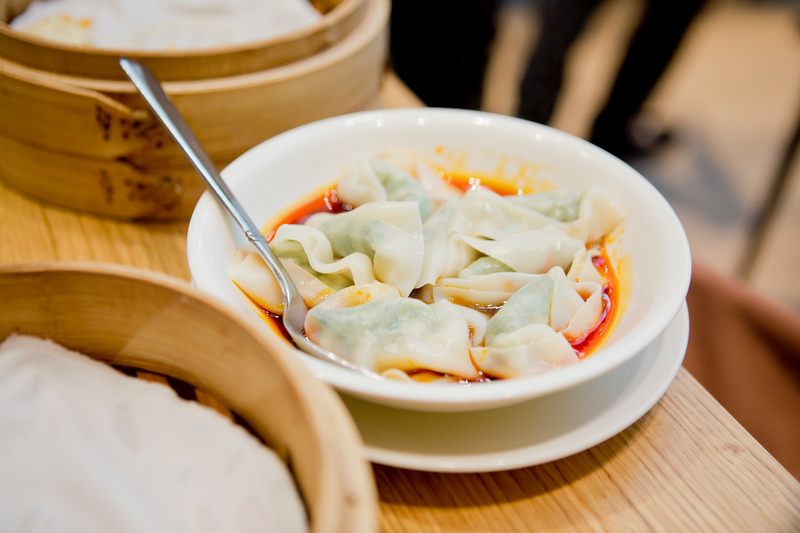 Dumplings, dumplings, dumplings! Or some may call them Dim Sum. Those soft, delicious stuffed little things. Dim Sum is definitely one of my favorite Asian dishes. You can imagine how happy I was when I discovered that a Din Tai Fung had opened a while ago in Dubai. First thing to do when visiting the huge Mall of the Emirates! I didn’t know that Din Tai Fung was a Taiwanese restaurant company. 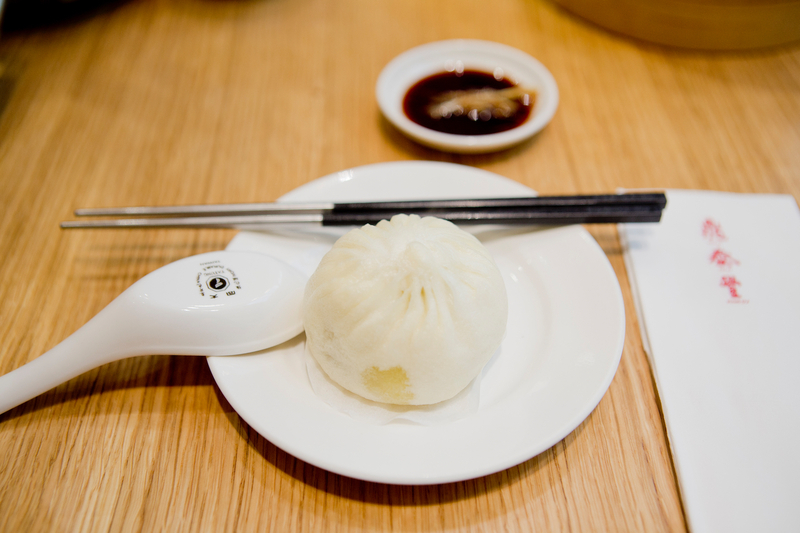 However, Din Tai Fung has its origins in China. Founder Yang Bingyi was born in Shanxi, China and moved to Taiwan in 1948. The first opening of his restaurant dates back to 1958. 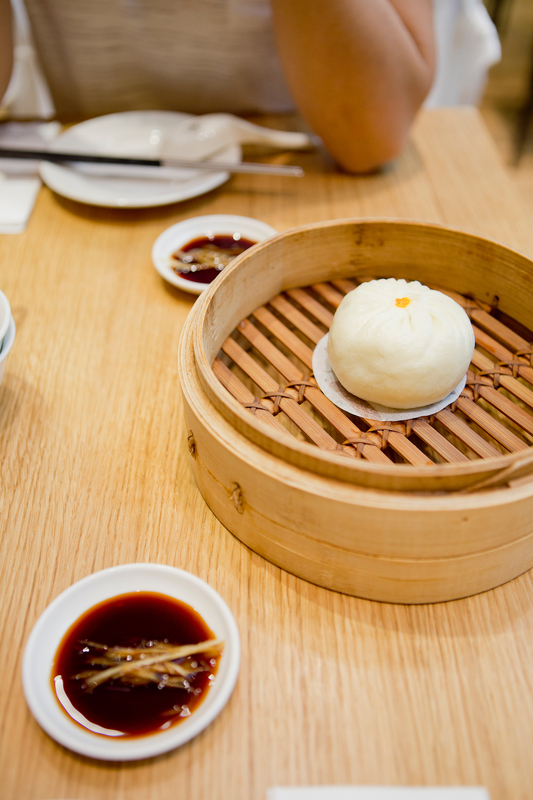 To make the business survive, they only offered steamed buns, the famous Xiao Long Baos. 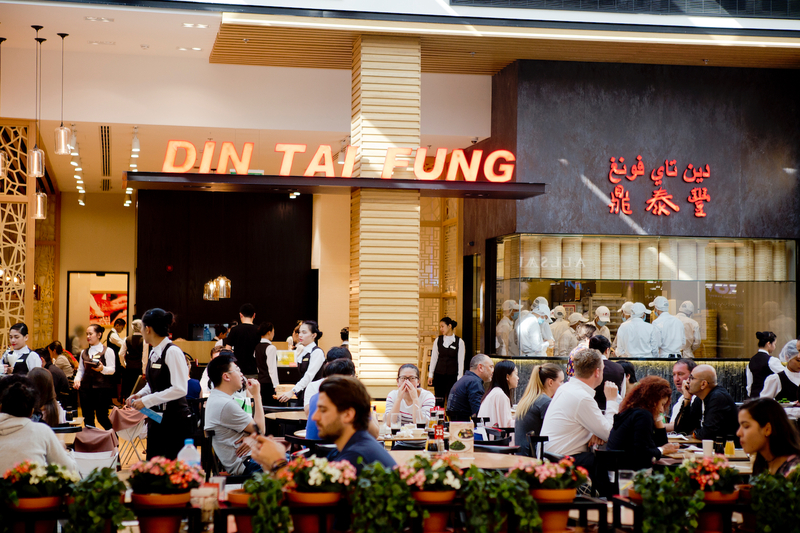 Nowadays, Din Tai Fung has expanded its menu and offers a great variety of Chinese dishes. In 2009 Mr Bingyi opened his first restaurant in Hong Kong, which was awarded a Michelin star by the Hong Kong and Macau 2010 edition of the Michelin Guide. Likewise, the second restaurant he opened in Hong Kong. 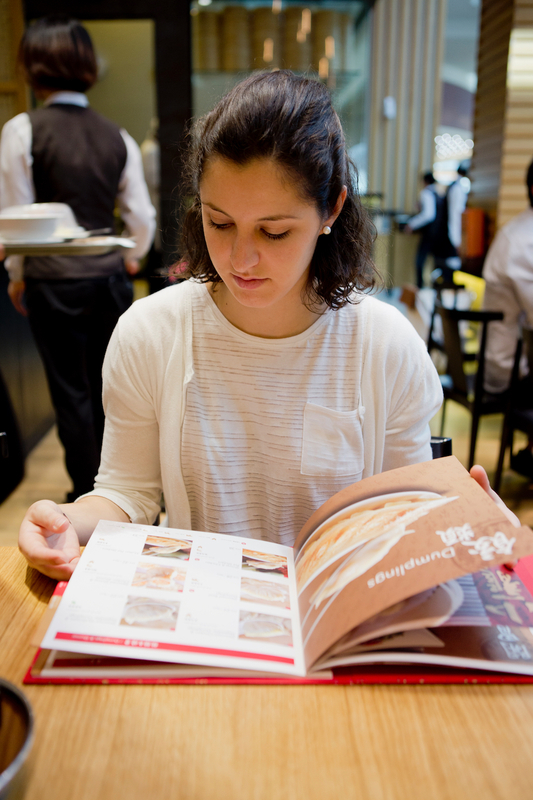 Din Tai Fung has now branches all over the world. We ordered some Xiao Long Bao (soup dumplings) and some spicy dumplings. Moreover, we had two steamed buns as starters. The Xiao Long Baos were good but the best I’ve ever eaten remain the ones at Jia Jia Tang Bao in Beijing. All in all we payed 136 DHS (35€) for two people. The restaurant is quite popular within the Mall. Therefore, you should go there right away. You’ll get a buzzer which will inform you as soon as your table is ready. 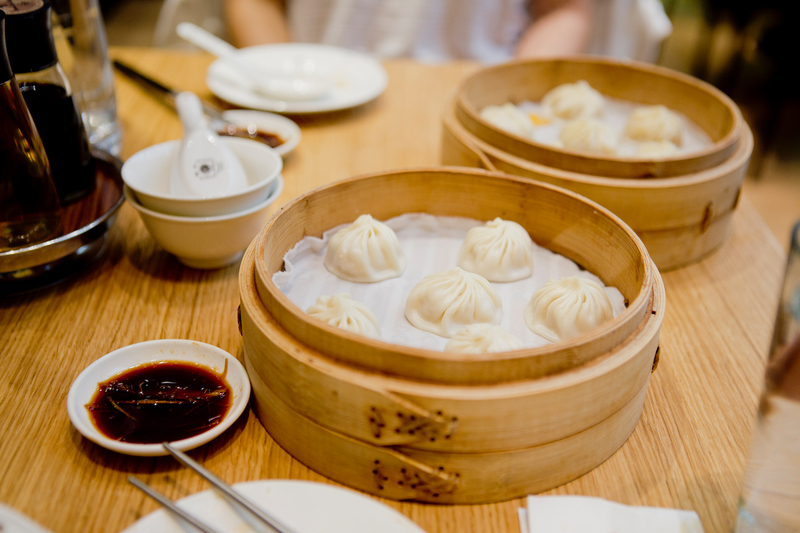 OMG in Hong Kong war ich fast jede Woche bei Din Tai Fung! So gut und auch noch günstig! Ja das glaube ich dir. In Dubai wars allerdings gar nicht Mal so günstig :) nach Hong Kong will ich unbedingt Mal! Normalerweise versuche ich natürlich immer im Land einheimische Küche zu essen – aber wenn sich die Gelegenheit ergibt, auch mal was Feines aus einem anderen Land zu probieren: Hello, Here Am I! :) Guter Tipp mit dem Buzzer! und Five Guys musst du unbedingt probieren!!! beste Burger :) so viel einheimische Küche gibt es dort auch nicht. Gibt sehr viel indisch, asiatisch usw. hab mich da auch ehrlich gesagt schwer getan. Dubai ist so vielfältig!